Product #17477 | SKU VCLHG0862K | 0.0 (no ratings yet) Thanks for your rating! 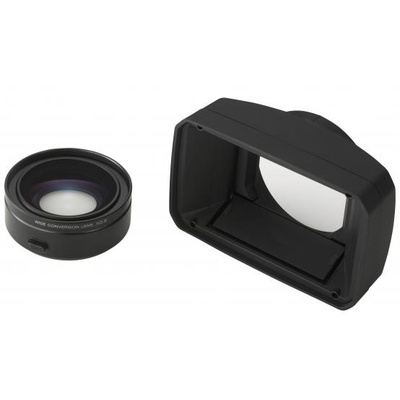 Designed for use with the Sony HVR-V1U HDV camcorder, this Sony 0.8x Wide Angle Conversion Lens ( VC-LHG0862K) features a 20% wider angle of view for shooting in tight spots or creative expression. This is a high grade lens attachment that features high resolution & coated optics. Efficient, simple and secure mounting to the camera's lens is handled by an ingenious front bayonet type mount. The included sun shade, front lens cap, and back lens cap will help protect it from damage. It even includes a convenient carrying pouch to keep it safe when you're on the move.